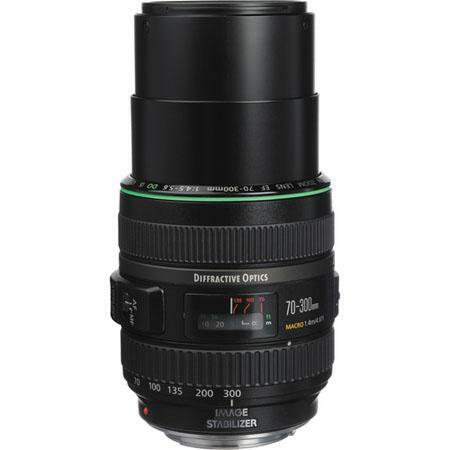 The EF 70-300mm f/4.5-5.6 DO IS USM features Canon’s Diffractive Optics technology. it is basically a process in which two or more lens elements are bonded with a diffractive coating and then combined together to ensure that a single cohesive lens element is created which essentially leads to a lighter and smaller lens compared to more traditional designs. The technology is a rarity and explains why the lens is nearly as expensive as the comparable EF 70-300mm f/4-5.6L IS USM. In actual performance the lens is almost devoid of chromatic aberration. 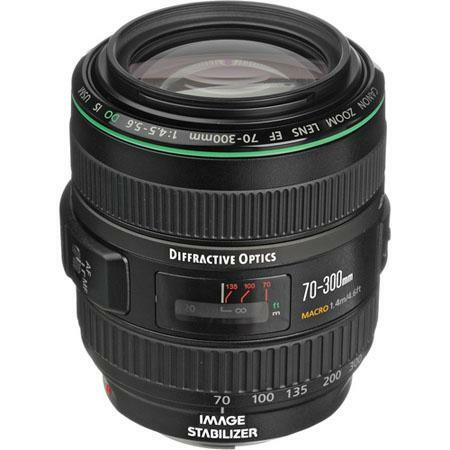 It also has less distortion when compared to other lenses of similar focal length. The closest focusing distance of the lens is 1.4 meters (4.6’). 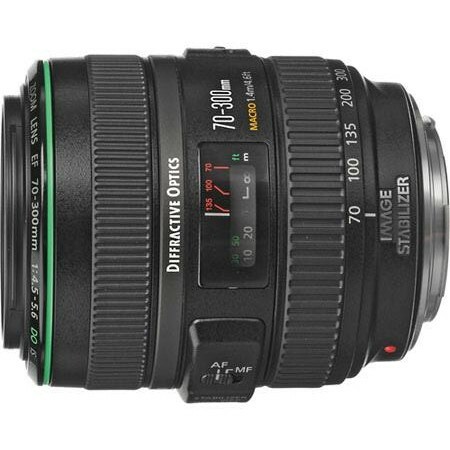 This lens is compatible with all EOS digital cameras including the full frame, 1.3x and 1.6x crop. On a full frame there is a noticeable amount of vignetting. However stopping down one or two stops of aperture would correct this. On a 1.6x crop such as a rebel T1i this would be absent. The lens construction consists of 18 elements arranged in 12 groups including DO, fluorite and aspheric elements. 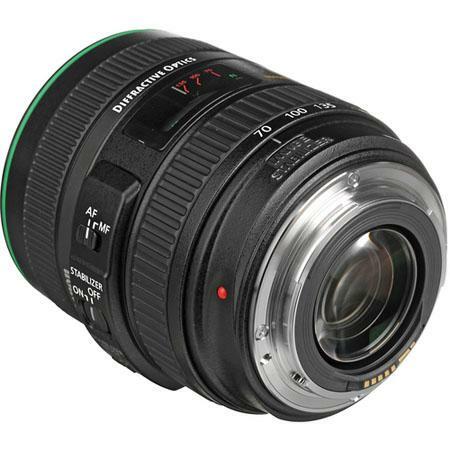 The lens barrel does not move as it comes with internal focusing elements. 6 blades make up the lens diaphragm and they can stop down to f/32-40 apart from opening wide at f/4-5.6. Externally the lens is almost entirely made out of plastic except of the lens mount which is metal and the focusing ring which has rubber type plastic for grip. The external dimensions of the lens are 3.2” x 3.9”and it weighs 720 grams. The lens takes a filter size of 58mm.